The mission of St. Vincent de Paul is to grow spiritually through prayer and service to those in need in the community. Participants in this ministry pair up to do home visits in responses to calls of need that come into the rectory. Becoming a member of SVdP does not require a commitment to participate in home visits. Members also support each other in prayer and sharing of ideas on how to best raise funds and distribute them. 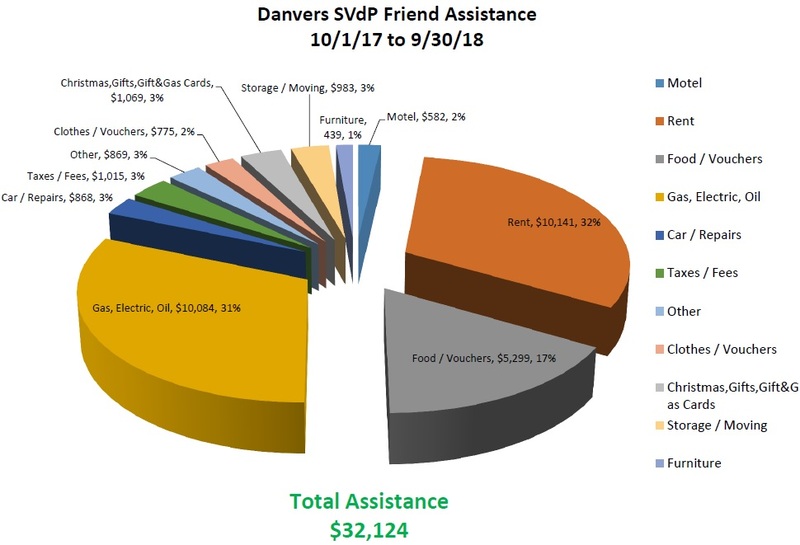 This year, the Society of St. Vincent de Paul made eighty-one Home Visits providing a total of $32,124 in financial assistance to needy families and individuals (104 adults, 78 children) in the Danvers community! 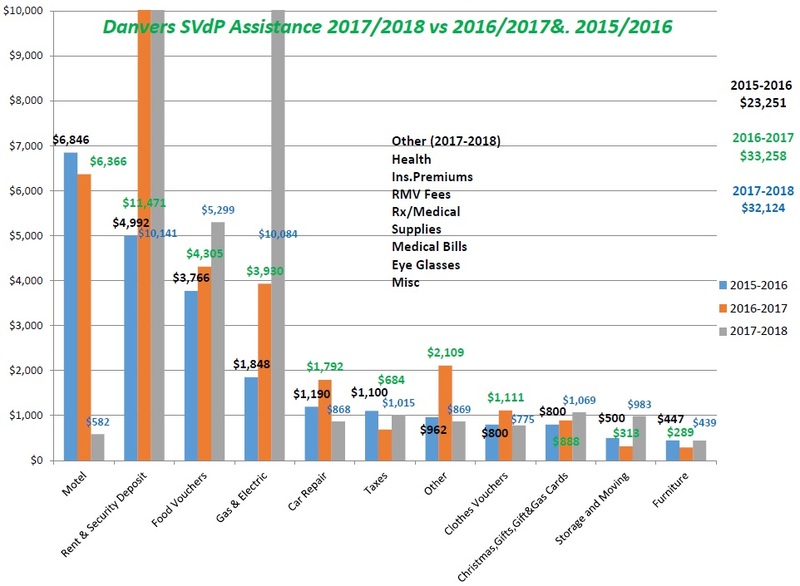 This included $10,141 in rental assistance, $5,299 for food, $10,084 for utilities, $775 for clothes, $1,015 for taxes, $868 for car related expenses, and $439 for furniture and several other categories of assistance. The members of the Society of St. Vincent de Paul would like to express our sincere gratitude to the parish for your continued love and support of our mission. Please remember us in your prayers! Thank You and God Bless! For questions or to contact this ministry click here.